Vanessa Magee initially joined Family Allergy & Asthma in July 2010 and spent three years working as an RN. 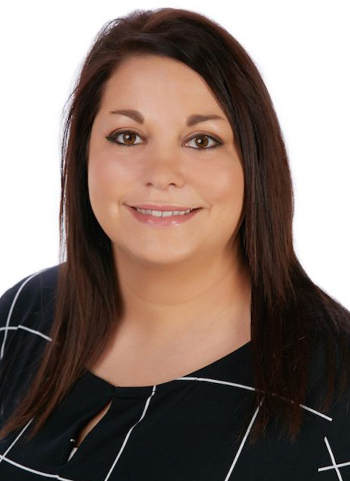 In April 2016, Vanessa rejoined the practice as a Family Nurse Practitioner. She completed her Masters of Science in Nursing in the Family Nurse Practitioner program at the University of Cincinnati and earned her Bachelors of Science in Nursing from Spalding University. Vanessa will work in a team approach and collaborate with the physicians at Family Allergy & Asthma. She was inspired to join the field of allergy and asthma because of her passion for patient education. She strives to help patients reach their optimal health by encouraging them to be active participants in their care. She believes it is critical for patients to learn the underlying cause of allergies and asthma so they can understand their treatment plan and how to manage their condition. Vanessa resides in Louisville with her husband, children, and dog. She enjoys spending time with her family and friends and is involved in their church and her children’s school.